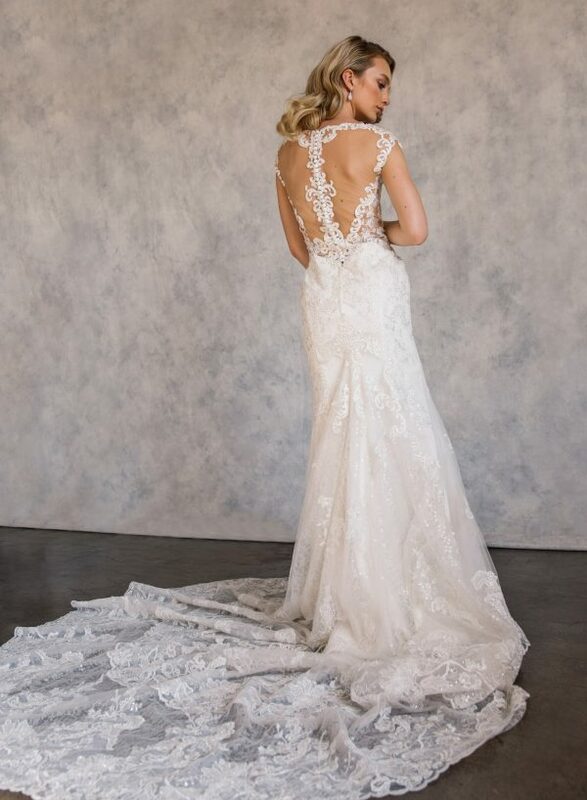 Lace gown with crystal embellishment on top with back bridal buttons on back and stunning double back train. Lace has beautiful soft metallic embroidery and light touch of clear sequence to give the perfect amount of shine. Built in corset and bra to give you a perfect fit.